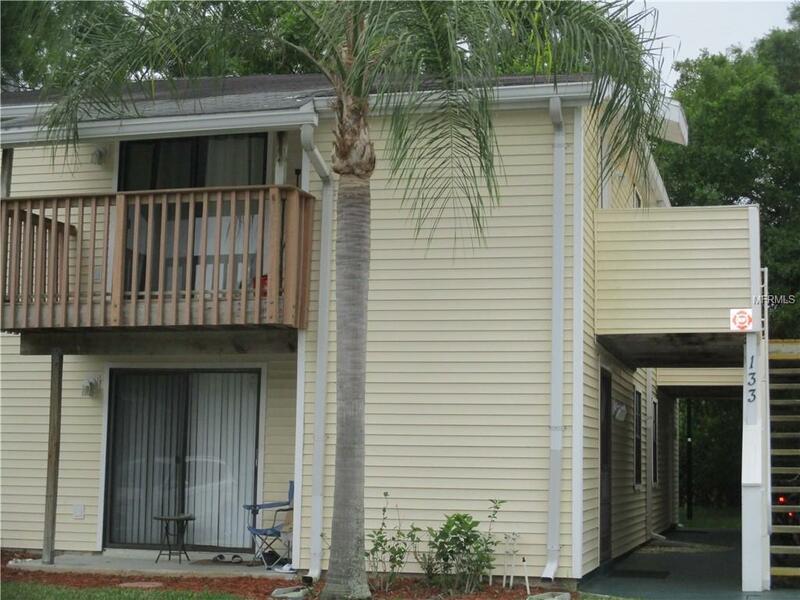 This adorable, 2/2 condo has no age restrictions. 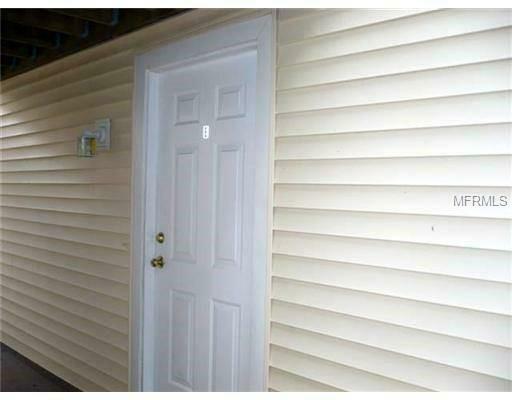 Wood laminate floors in Main Areas and hall, carpet in bedrooms & tile in kitchen and hall bath. Spacious, open floor plan, ceiling fans throughout. Kitchen has refrigerator, ceramic-top range, microwave, disposal & dishwasher. Inside laundry room has hook-ups (but washer & dryer do not convey). 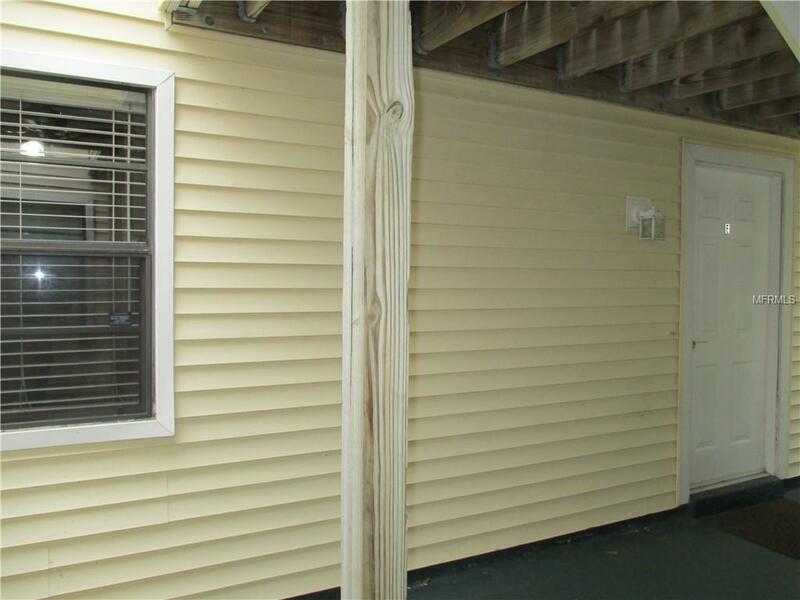 Large storage room is attached to your unit off patio. 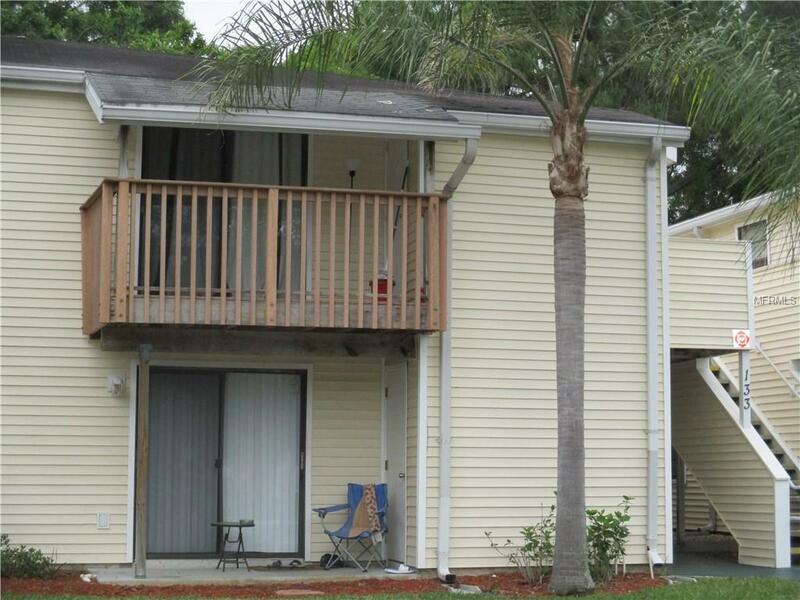 Enjoy sitting on your covered patio that sits on a conservation lot behind the unit. Small pets are permitted up to 25 lbs. Low association & maintenance fees that cover SO MUCH! Community pool, spa, tennis, racquetball & basketball courts, a fishing pier, playground & recreation area. There is a lakeside area with picnic tables & a BBQ for your use. Excellent Schools, including East Lake Middle School Magnet Engineering Program. If you are looking for a great location, you found it! Close to Tampa Intl Airport, shopping, beaches, a large variety of restaurants, movie theater, golf courses, Entertainment venues, Internationally known Innisbrook Golf & Tennis Resort. Tampa Bay Downs Horse Racing is less than 8 mins. to Clubhouse or Stable Gate. Come and Live the Florida Lifestyle, where Every Day feels like a vacation.